The Itoya Profolio Art Carrier Deluxe is a soft carryall pouch for transporting both tablets and large-format albums safely and securely. 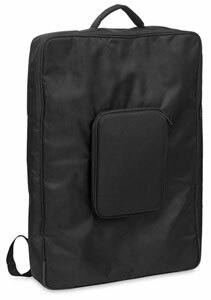 Made from durable, luggage-grade nylon. Shoulder bag format (18" × 24" size is a backpack). ® Itoya is a registered trademark.™ Profolio is a trademark.